The following is a guest post by Mark Kinsley. 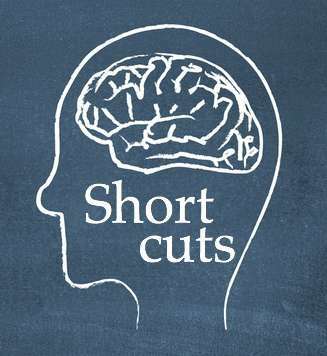 Humans take mental shortcuts all the time and don’t even realize it. Famous psychologist Daniel Kahneman tells the story of an investment officer who went to an auto show and decided to invest millions of dollars in Ford Motor Company stock. Dr. Kahneman personally knew the millionaire and asked why he was making such a large investment? The millionaire said he was impressed by Ford and really thought they knew how to make cars. Wait a minute—shouldn’t an educated investor be looking at cash flow and profit-margin ratios? Here’s a guy with no real knowledge of the auto industry who is going to inject millions of dollars into a company simply because he feels good about it? Through his research Dr. Kahneman found out why the investor made a decision with very little information, going on his feelings rather than seeking sound analysis. I think the mattress industry can learn from these insights. Our minds tend to avoid the complex by concentrating on things that relate to the topic we are tackling. The investor was facing the difficult question, “Is Ford stock a sound investment?” But instead of working through that problem he answered a related question, “Do I like Ford cars?” Dr. Kahneman says when faced with a difficult question we often answer an easier one without even noticing the substitution. It happens all the time, even with mattress shoppers. People buying a mattress will often use a similar mental shortcut. Instead of answering the question, “Is this the best mattress at an unbeatable price?” they’ll answer an easier question like, “Do I feel good about this retailer and the salesperson?” The confusion about mattress pricing and quality creates an opportunity. It’s difficult for consumers to learn what makes a real difference in the quality of a mattress in a short period of time (i.e. the buying phase). On top of that, once you figure out that every store has a sale, and all of them claim great products, it gets even more confusing. Another easy question for consumers to ask is, “What do my friends think?” We look for recommendations from friends, family, colleagues, and websites (like GoodBed.com). This means that great products will beat bad ones and extraordinary retailers will get foot traffic by creating and cultivating raving fans. It comes down to your presentation during the shopping phase. What does your brand look like online? How helpful are you? Or, if you are a retailer, how have you equipped your RSAs to exceed expectations? Are you creating simple salespeople or remarkable Sleep Consultants? It’s no longer good enough to just understand what shoppers want. You have to know how they think, feel, research, and purchase. Whether we admit it or not, it’s difficult for humans to answer complex questions and we make substitutions without even noticing the switch—and that’s why a big purchase often comes down to intuition. In his heart, the millionaire felt really good about Ford and he invested his money. Can your company generate a similar emotional response? Think of ways you can make people feel really good about your product or store. Review your processes. Evaluate your brand (or the brands you carry). Secret shop the market and find a formula for making people feel good about your business. They’ll reward you for it. Remember, your customers can afford to take mental shortcuts, but you can’t. Mark Kinsley is Vice President & Lead Strategist with Mark Quinn’s strategic communication firm. You can email him at markk@mediacross.com. DISCLAIMER: The views and opinions expressed in this blog post are Mark Kinsley’s. They do not represent the thinking of the company he works for, or anyone else with whom he is affiliated.